High-volume sets will pump blood to your muscles and make them grow! Activate beast mode to finish this intense chest workout! The almighty chest workout: It's what separates the men from the boys—at least in high school. As an athlete growing up, it sometimes felt like my bench numbers were directly tied to my standing in the social hierarchy. Not to be outdone by my friends, 14-year-old me got under a barbell for the first time at a friend's house. I couldn't even lift 100 pounds, an embarrassing change from my usually stellar athletic accomplishments. I just couldn't get that weight off my chest. For a long time after that pathetic attempt, the other kids at school pointed out how weak I was and made fun of me on the regular. I decided that I was going to take control of the situation and better myself. I've always had aspirations to be big and strong, and I'd always looked up to people like Arnold Schwarzenegger, Hulk Hogan, and even Superman. I hoped that someday, I would be big and strong like them. So I found some iron and got started. When I was younger, I was obsessed with the number. I went as heavy as I could go every workout. My strength peaked when I was about 28. I had a max bench of 430 for 2 reps—something I never thought I would see. "I've tried so many training variations that I can't even keep count. In time, I found what works for me." As I got older, I started lifting smarter due to a lot of previous injuries. I learned that it's not always about power, but trying to develop a competitive physique. When I stopped exclusively lifting heavy, I started experimenting with various techniques, set and rep variations, incorporating various angles, and using other tools to get ripped. Since then, I've tried so many training variations that I can't even keep count. In time, I found what works for me. 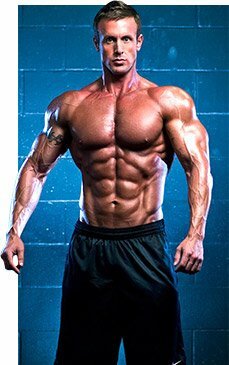 I was blessed with good genetics, but I didn't build a competitive physique overnight. It took a lot of hard work and years to get to where I am today. Although I do still go heavy periodically, I now focus on volume. I like to get a feel of the weight, hit my muscles from as many angles as I can, and get a good pump when I lift. Even Arnold Schwarzenegger said his chest didn't start developing to his best levels until he changed up his set and rep patterns and incorporated more angles in his lifting protocol. This is a workout I recently did with three of my competitor clients. It's a great example of a high-volume workout that will build a great physique. 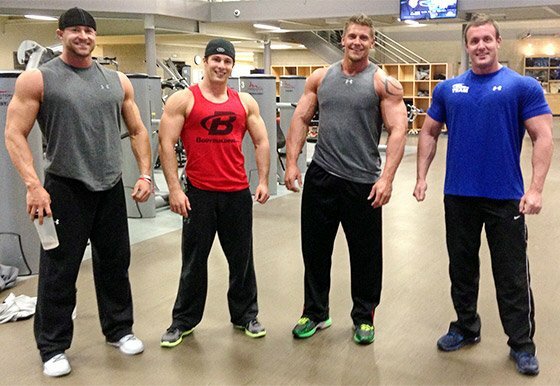 This is a workout I recently did with three of my competitor clients. By the time you get to the last exercise, your chest, shoulders, and arms will be pumped to the max. Try it out and see for yourself! Push hard, but don't forget to have fun! Drop weight from last set of smith machine press. Squeeze at the bottom of each rep.
Drop weight from last set of barbell bench press. Turn body so you are pressing weight across chest. Arch your back slightly and stick your chest out while performing exercise; squeeze on each rep. Competitors in this industry spend a lot of time together. Sometimes, love blossoms backstage. This is the story of Brandan Fokken and Amber Orton.